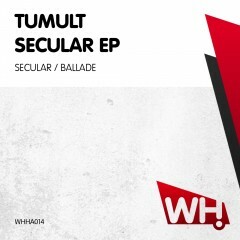 For fans of deeper, techier and minimal sounds the Secular EP is essential. Behind the talented duo are Per “Gauzz” Ebdrup and Jakob Sejer. Based on a long friendship, Tumult loves to explore new musical directions and combine various sounds and influences. This brilliant EP proves just that.